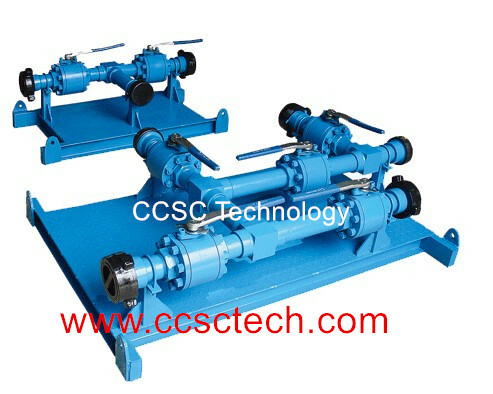 Diverter Manifolds also called Bypass Manifolds, They are widely used in the oilfield when onshore and offshore oil or gas well testing, clear up operations, fracturing flow back service operation etc. Diverter Manifolds& Bypass Manifolds are especially designed to direct produced fluids (oil or gas) to a desired routing within the process system. They are generally used downstream of well testing separators, surge tanks and gauge tanks. CCSC Diverter Manifolds& Bypass Manifolds customizable structure and have many sizes and pressure ratings used for oilfield applications.